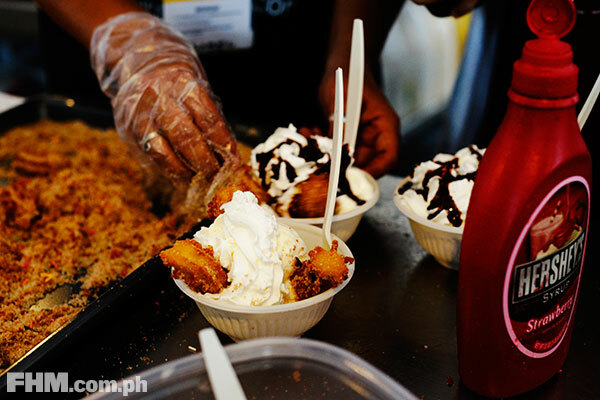 If you were around BGC last April 20, specifically along 7th Avenue, and wondered why the hell there was a huge queue of people on the field across the Forum building, here's your culprit: the World Street Food Congress. The food fest opened to the public (entrance is free!) 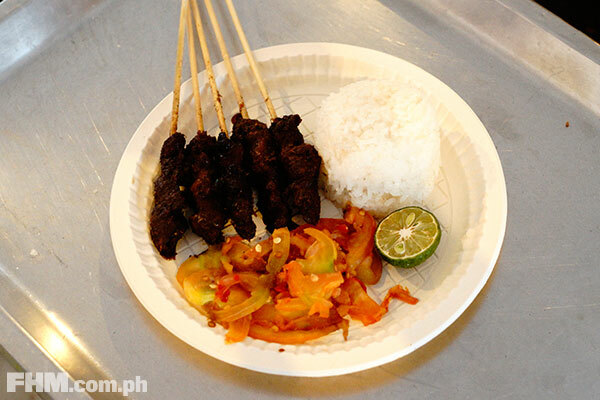 that day, and will be there until Sunday (April 24) to treat a Filipino crowd voracious for the world's street foods. 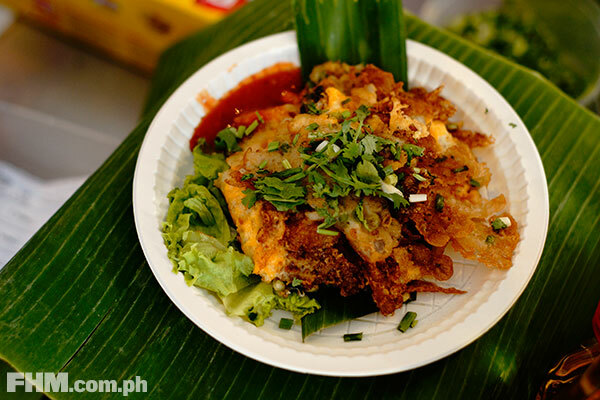 The festival features more than 20 stalls from across the globe (okay, mostly Southeast Asia) hawking their country's brand of street food. The event, created by Singaporean street food expert KF Seetoh, is being held here for the first time—the first instance in three years in which it's being put up outside Singapore. 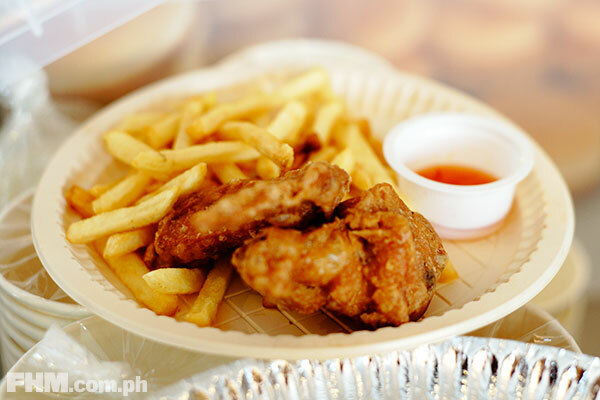 What is it: Fried chicken marinated in bagoong. 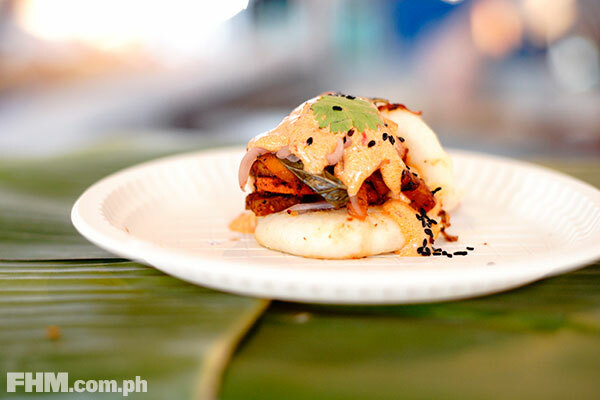 What is it: The Har Cheong Kai...in burger form. 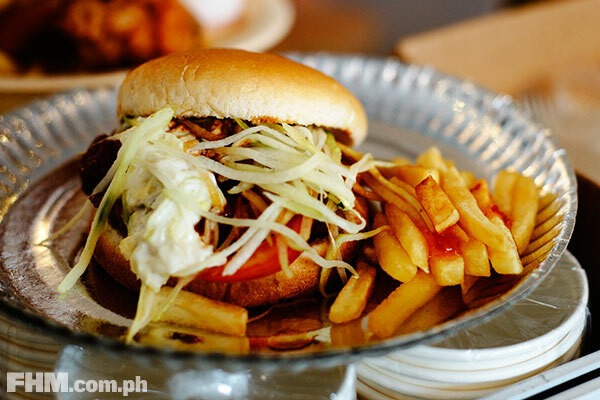 Drizzled with a spicy, tangy sauce, topped with salad, and taro fries on the side. What is it: Noodles bathed in a rich, peanutty sauce, topped with seafood, greens, tofu, and sticks of satay (think Asian barbeque). 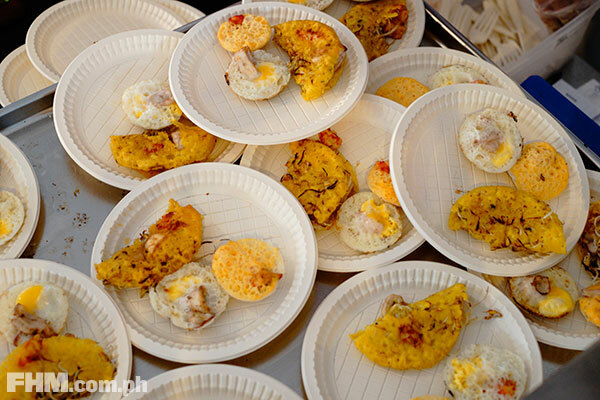 What is it: Steamed daikon (a kind of mild-flavored radish) and rice flour cakes fried with eggs. It doesn't have actual carrots. It's a misnomer, originating from the fact that "daikon" is a general Japanese word for root crops, radishes and carrots included. 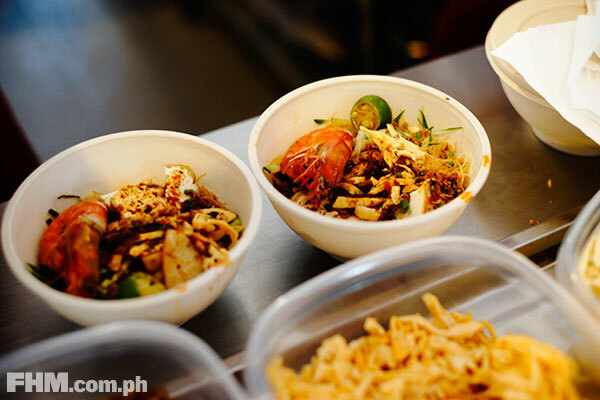 What is it: Thin rice noodles in a sweet, spicy broth made even spicier with sambal (a chili-based hot sauce) and topped with egg, seafood, and fish cakes. 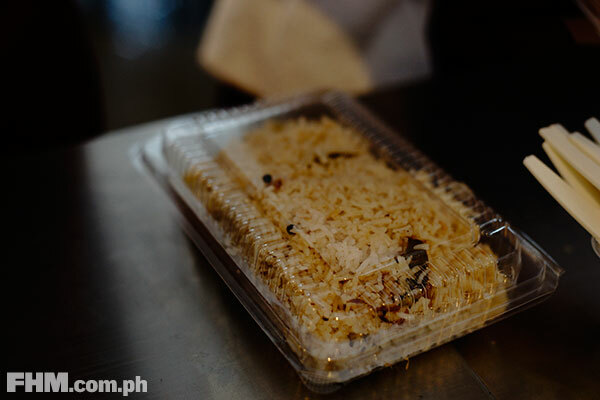 What is it: Not just braised duck and rice. This one also has pig offals (a general term for a butchered animal's internal organs), stewed pork belly, and soft pork skin. Not for the faint of heart! What is it: A potato patty deep fried to a golden crisp with hints of Indian mixed spices masala, ginger, and garlic. What is it: Fragrant basmati rice (a long-grained variety of rice common in Indian cuisine) cooked with onion, masala spices, lemon, saffron, coriander leaves, and served with bits of chicken curry. What is it: Fried dough pastry (churros!) served with vanilla ice cream and all sorts of toppings. What is it: Crispy, fried Chinese-style buns with pickled vegetables smeared with sambal, a hot sauce made of a mixture of chili peppers. What is it: A crispy, gummy and eggy mussel omelette pancake, topped with coriander, spring onions, bean sprouts, and drizzled with white pepper. 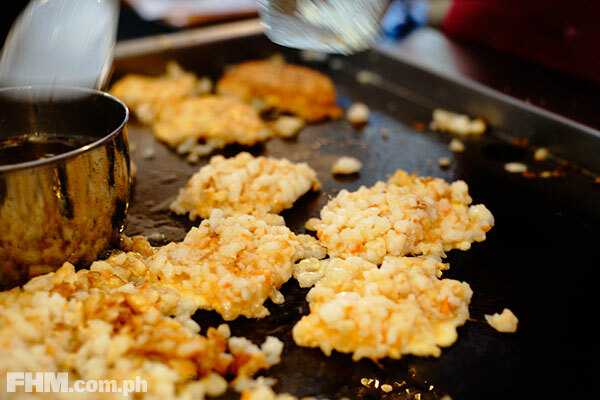 What is it: Traditional Vietnames pancakes mixed with seafood, and fried to a crisp. Okoy, anyone? 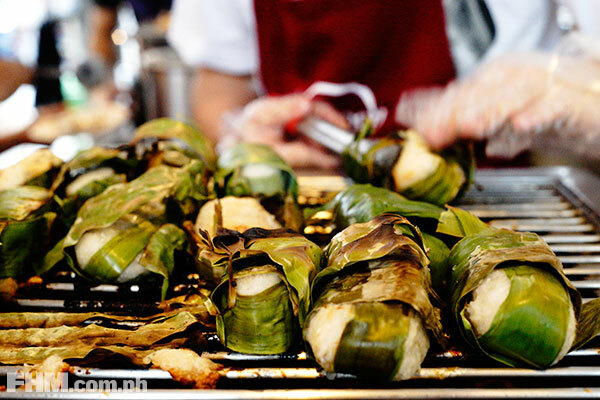 What is it: Vietnam's version of the suman. Banana surprise inside! What is it: Indonesian-style barbeque with rice, tomato, greens, and chili salad. 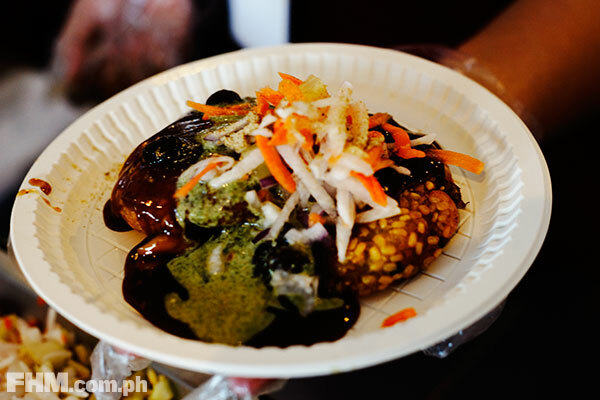 What is it: A dish that comes with a warning: "This is Indonesia's most mouth-numbing, spicy-stinging bbq chicken." 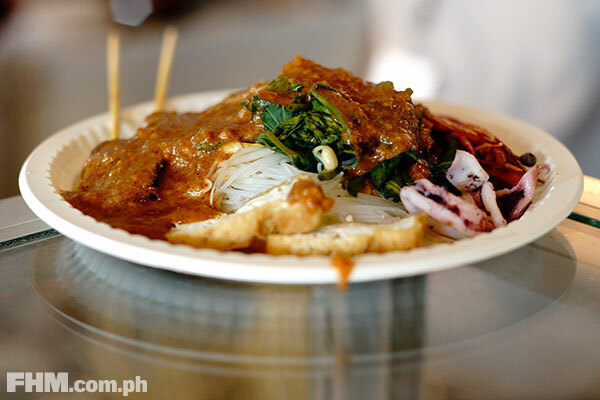 Served with kangkong, peanut sauce, and satay sticks in case you can't handle the heat. 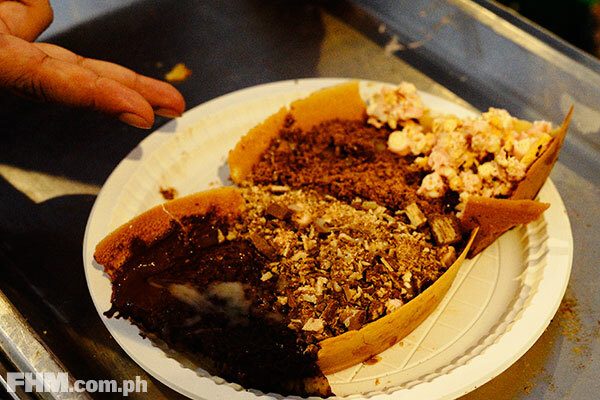 What is it: Chinese-style pancakes buried under a pile of eight types of chocolate. Does your girlfriend have a sweet tooth? You know what to do. 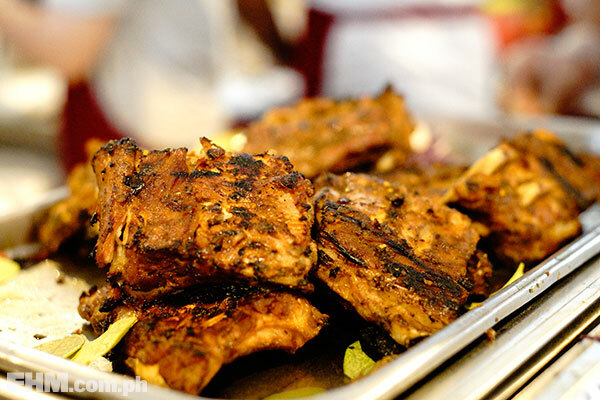 What is it: Ribs done the Balinese way—that is, flavored with kicap mainis (a sweeter kind of soy sauce), sambal, and served with shredded veggies to lessen the guilt. 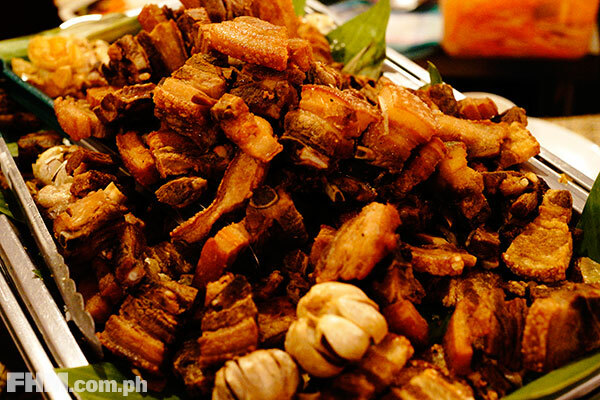 What is it: In case you wanted to increase your blood pressure, here's another specialty, the Kinupusang Baboy, or deep-fried pork belly cut into convenient, bite-sized cubes. 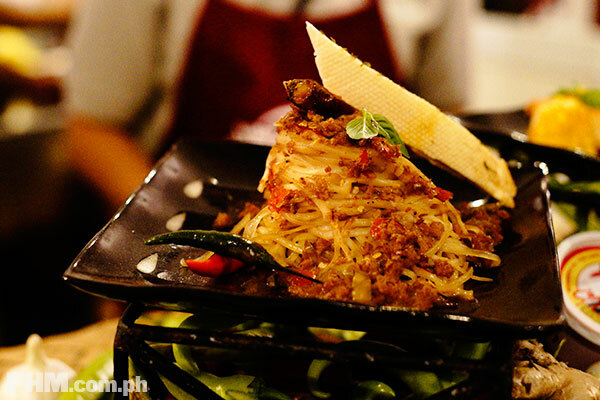 What is it: Think Bicol Express but instead of rice you have a heaping serving of al dente pasta. 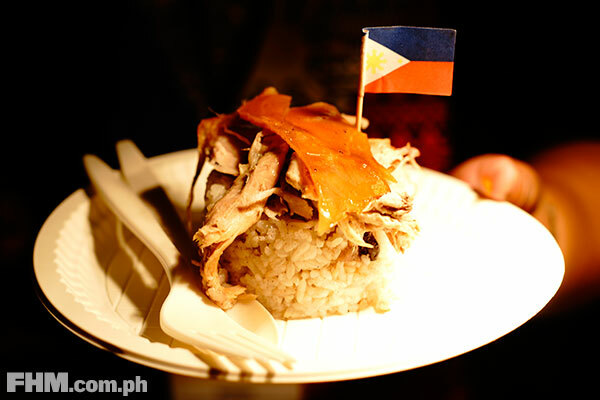 What is it: Lechon with spicy truffle paella. 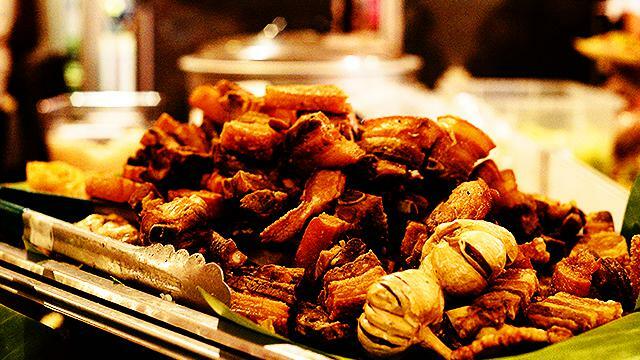 It's lechon. It's paella. It has truffles. 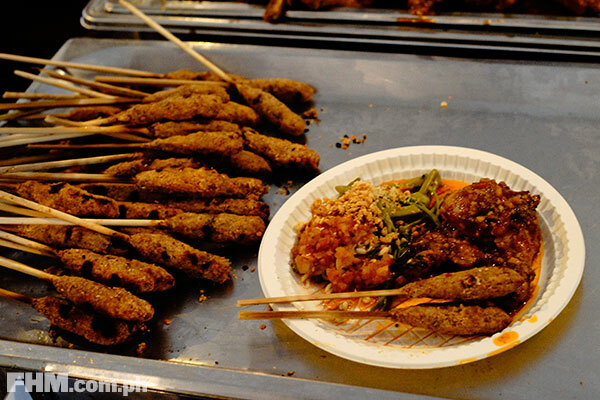 Is it streetfood? Probably not. 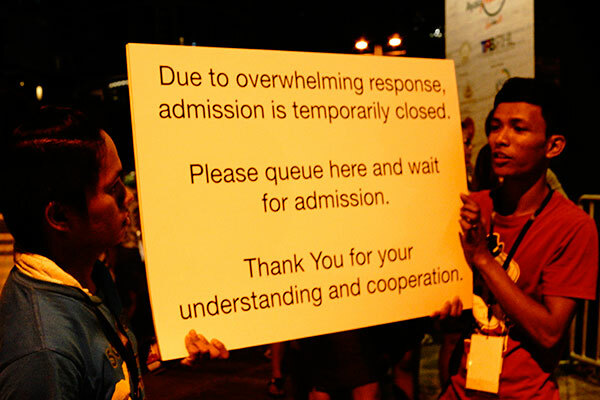 Are you still going to line up for it? YES.